I have flown this route 10 times since its first week of operation in 2013. But I had not flown it for 2 years, partly because Oman Air was cheaper and better. Moreover, I was at the end of my patience threshold with the amateurism of everything about PAL. But this time around, the prices of the flights were comparable, the timings were about right, and so I rolled up at Terminal 2 last week not really knowing what to expect, but with an open mind and looking forward to the A350 non-stop to London, rather than transferring half way in hot and smelly Oman. When you get past the redundant security (As a foreigner with luggage in tow that has travelled 170 times internationally from one of the three terminals over the years, what do they think I'm doing? Sightseeing?) with the first luggage x-ray check at the door as is typical of Ninoy Aquino International Airport in Manila, I turn right to head straight to the Business check-in counters. Upon approaching the desk, I offered my passport and was informed that the London flight requires an extra luggage security check, which was located at the regular check-in. So I had to join the single queue with all the other passengers. The security check involved opening all check-in bags, where the operator wiped the top layer of luggage with what looked like a wet wipe, which was then placed in a ‘special’ machine (supplied by the British government according to the sticker on the machine). I didn’t bother to return to the business class counters as PAL had provided some on this side. It seemed odd to me that at an ‘International’ terminal, the foreigners are processed ‘to the left,' while the Filipinos are processed to the right of the terminal. Obviously there will be many many more foreigners ‘to the left side.’ This is the only airport terminal that I have ever been to in the world that does this, as in most major airports around the world, the division usually happens at the immigration counters themselves. But this must be due to the poor design at this terminal, where there is never enough space to hold pre-processed travellers. Anyway, I am straying from the subject. I eventually got through passport control. (Somehow, I always manage to pick the wrong queue behind the group that has overstayed past their visa, which leads to all kinds of head aches and lengthy discussions.) I typically like to pick a predictably quick line behind middle aged Caucasian business travellers if possible. X-ray of hand luggage then proceeded with laptops out and belts off. On the other side of the terminal, I noticed that the security team tasked with processing Filipinos looked very bored, checking their watches for lunch time, and standing around chatting. It should seem like an obvious outcome as of course there are very few locals travelling internationally compared to foreigners as I had noted earlier, and yet they had the same size team and number of machines. This might be something for airport management to review. The Philippine Airlines Lounge has not changed since 2000. It has joke sized bathrooms. Who would think that maybe more than 3 people would like to use tiniest lounge toilets in the world at the same time? Obviously, not the architect. The sad looking chairs with power ports don’t work, while annoying CNN News is constantly on, and this time, it was all accompanied by the "local" stylings of The Carpenters on the sound system. (Can't they just play the original?) The food and drink selection has not changed in maybe 10 years, so I never bother. 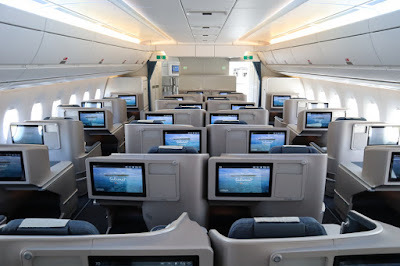 The internet was okay but I noticed no tannoy calls for boarding anymore, (so "Cathay Pacific!") but unfortunately no extra flight status monitors have been installed to compensate for the absence of the announcements. The flight was however boarded on time and so I headed to the final ‘documents check’ (as if this hasn’t been done twice already) and baggage check (third time also, if you remember). 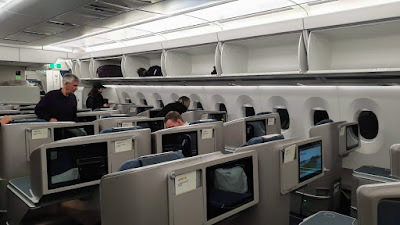 Finally, I reached the aircraft and so to my first experience of the A350 business class cabin on PAL. First impressions were good. 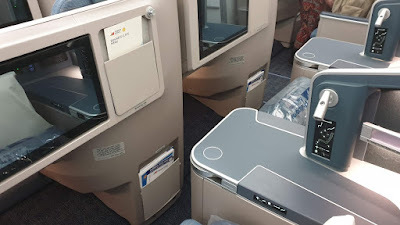 It was new, clean, every button worked, large TV, no overhead luggage space for middle seats (the configuration was 6 rows in a 1-2-1 formation). There were 24 business class in all, followed by a small premium economy area behind. 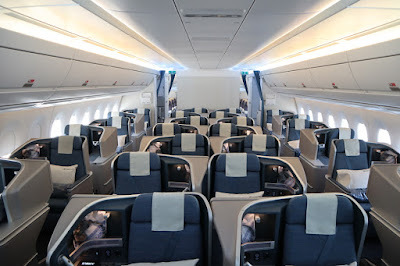 "Business Class: 8 Rows / 4 Seats per Row"
Champagne time? Of course, and surely enough it was offered! I was shocked as this is the very first time in twenty-five PAL business class flights to London, LA and San Francisco that I was not given excuses such as ‘civil aviation authority doesn’t allow’, ‘the bottle is not cold, Sir’, ‘we have lost the bottle opener, sir’, ‘it’s a Sunday, sir’, ‘after we take off, of course, sir’. – there it was, a cold fizzy relaxer with top ups too!! 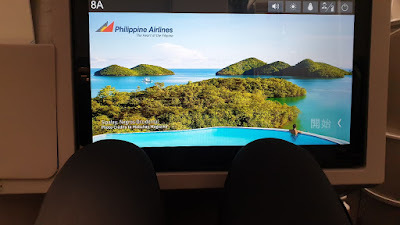 I also love the safety video now, an ensemble cast reflecting life in The Philippines overlaying the seat belt operation, life Jacket whistle (to attract the sharks) and head in hands landing. No internet access – internet access via MyPal wifi connection is tragically slow, but its free! Just good enough for some whatsapp messages but don’t try to load web pages or actually doing anything, but it exists, sometimes works, and its free. Ironically I can connect to Whatsapp 10,000 metres over China, but cannot connect on the ground in that country! 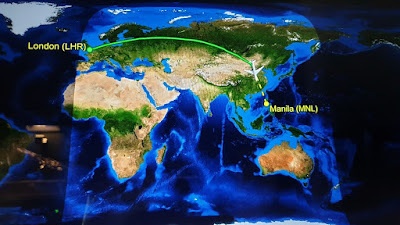 "London to Manila Route Map"
Flight Information - The A350 has a good flight tracker system with count down time to land etc, etc. The map system is a bit frustrating as you really want to remain on the map and maybe zoom in on the Chinese or Russian village you are flying over. I don’t know why airlines can't just adopt a "google maps" look and feel. "Philippine Airlines IFE: The James Bond Box Set for your eyes only!" 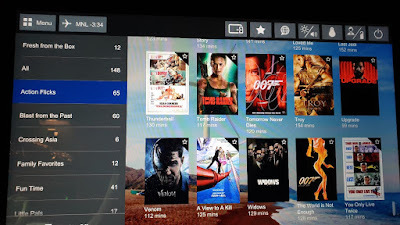 Movie and TV (IFE) - Movies are a bit trashy to be frank; mostly suitable for teenage children, not more serious offerings. The TV choices are even worse; just a few episodes for a number of low-brow American shows. No sport, no entertainment, no travel documentaries, no news. Really, really poor compared to either Oman Air or Cathay Pacific. No games available. Music offering is okay. 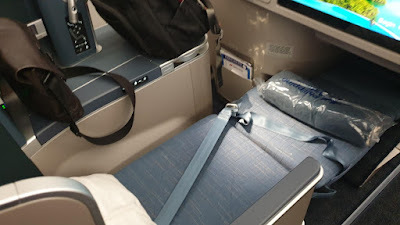 "Philippine Airlines A350 Business Class Seat"
Seat – Now the important stuff for a Business Class flight. The seat delivers on a flatbed promise; what actually happens is that the seat disappears under the seat in front such that the vertical leg room is severely restricted. 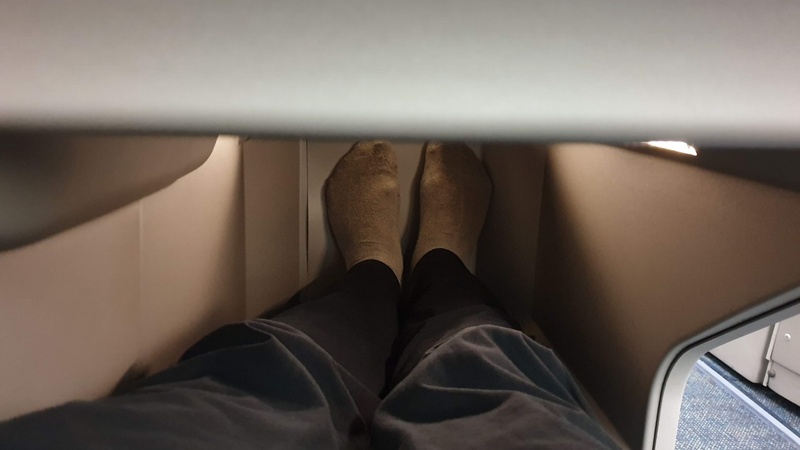 Yes, you can stretch all the way out, but don’t then try to lift your legs too much as they are confined in a coffin like area. "Knees reach television as seat reclines"
This position also results in the TV screen almost being in your face. Don’t try to watch TV while you are stretched out flat, nor eat for that matter. For eating, you have to almost put the seat in take-off mode. The result is okay, but not as good as the competition, especially the Oman Air A350 from Manila, which gives you much more privacy and space to stretch out and continue to both eat and watch a movie simultaneously. "Legs disappear under seat in front and lack mobility"
Food – Much better wine offering than before, 2 reds, 2 whites and a champagne, French, Australian, Californian -- a good standard also. The food was a bit hit-and-miss, however -- quite small portions, and not very tasty or of top quality. Having said that, the table layout with table cloth, bread selection, water supply, and cutlery was excellent. Route and Timing – The plane passes over Hong Kong, to the west of Beijing, Mongolia, into Russia, over St Petersburg, the Baltic, and skirting North West Europe, before arriving in the UK via the Essex coastline, swooping over the City and landing westwards at London Heathrow. The landing can change depending on wind direction. I probably slept for 6 hours somewhere between Mongolia and Western Russia, waking with 4 hours remaining of a 13+ hour flight. 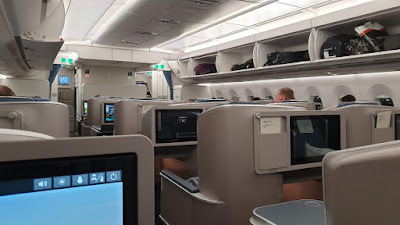 My particular flight was 20 minutes early arriving at 7:10pm, which was excellent for transfers, and compares much favourably with my first trip in November 2013, which was over 2 hours late. "Philippine Airlines A350 Business Class"
Overall, it was much, much better than the A340, which used to ply this route. The A350 plane itself demands better quality food, service and entertainment and PAL does deliver on most things. 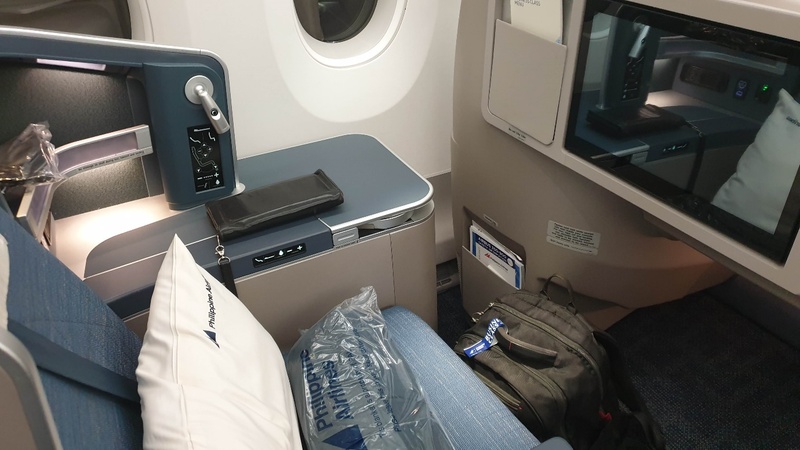 The cost of the flight was comparable or less than competitors and is direct which means you can get a proper sleep without wondering how long before we land in the Middle East transit hub. Not sure if this an advantage or otherwise but a direct flight only allows for 2 meals, whereas a Middle East transfer results in 2 meals per flight. The flight timings are good also -- lunchtime take-off, and early evening arrival (missing rush hour on the M25). I am personally looking forward to direct flights to Hanoi and New Delhi on PAL soon, as these cities are on my business travel list and I usually need Cathay Pacific to deliver. 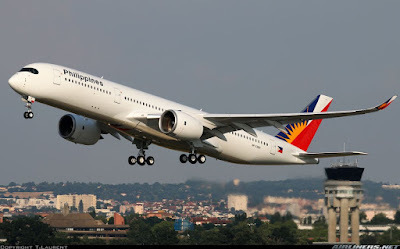 Perhaps Philippine Airlines will bring a welcome change. You compared it to Oman Air but Oman Air has no A350 yet. A330 is the one flying from MNL - MCT. 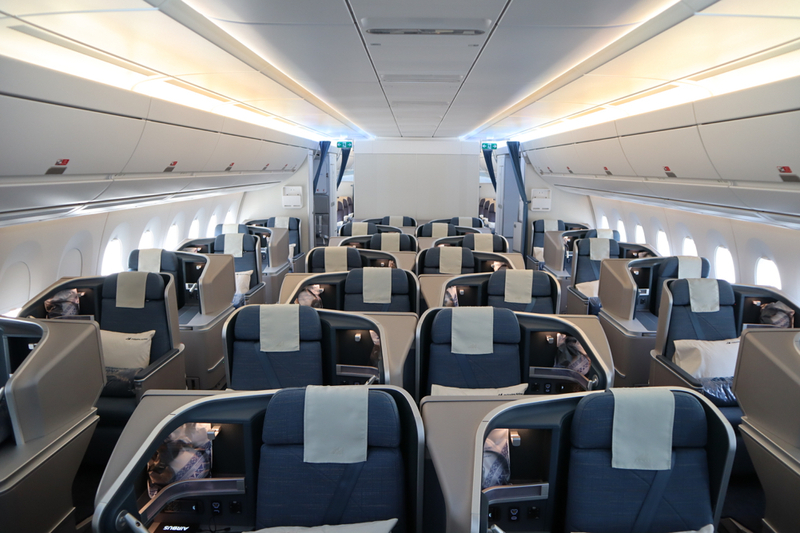 There is no comparison between the A359 and the A333. Its like apples and oranges. IFE content is customized by airline to what they think is what majority of their passengers want. Qantas for example doesn’t even have Music in their IFE. 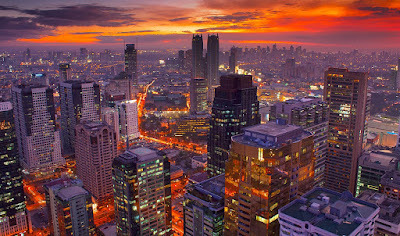 Honestly, if you ask a Filipino like me, I wouldn’t want to pay extra for Games. Service of cabin crew in PAL is much better than Cathay’s, that’s for sure. CX cabin crew can be temperamental at times. And there are other things where they are topnotch... longhaul narrowbody! I'm sorry, but you sound like a miserable person. The way you wrote your review was so off putting - you were like how a whingeing Pome would whinge about the weather and life in miserable UK during winter. There is a big difference between whingeing and providing constructive feedback.